As far as looking camera is exactly as expected from Olympus. I believe that we are going to see an IBIS camera with decent to good 24/25P video soon. Could this be it? 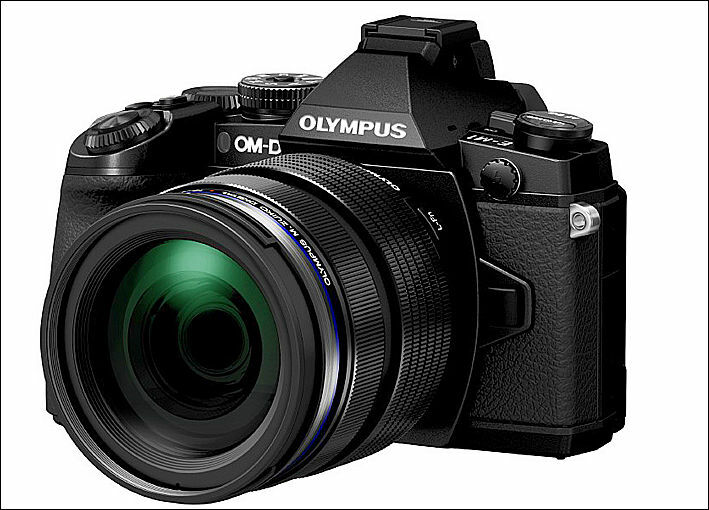 Or perhaps the OM-D's soon-to-be-announced successor? @QuickHitRecord this is the soon to be announced sucessor - even it's not really a sucessor. It will be launched next month (and I agree with Vitaliy, looks like an organized leak - 5 hours to take sown the video?). Will be launched too a cheaper and lower spec E-M5, probably without weather sealing and maybe a 2 axis ibis. 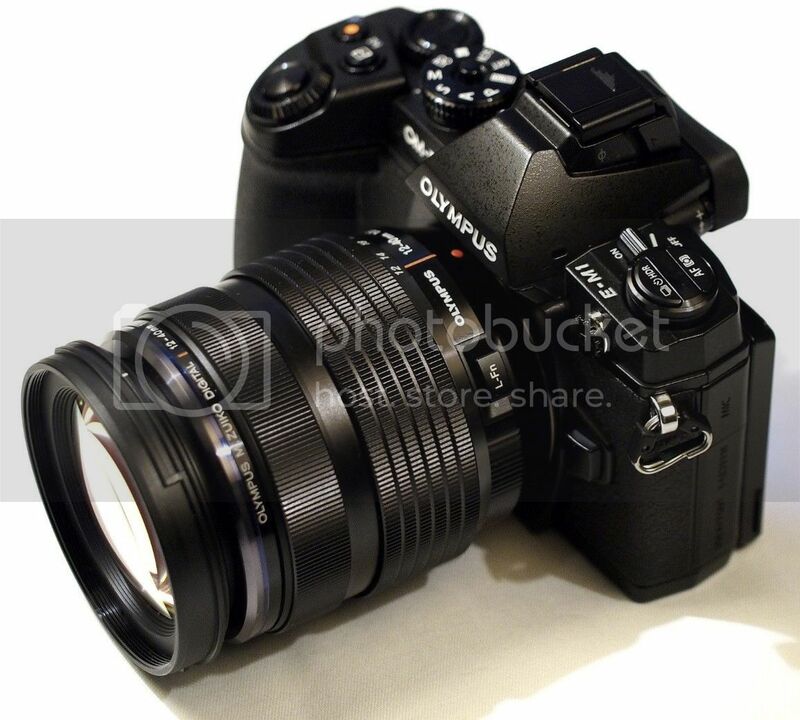 The real sucessor for the E-M5 will appear only in 2014. IBIS camera with decent to good video - the first probably will be the full-frame NEX, that (as rumors said) incorporates the 5-axis IBIS tech from Olympus. 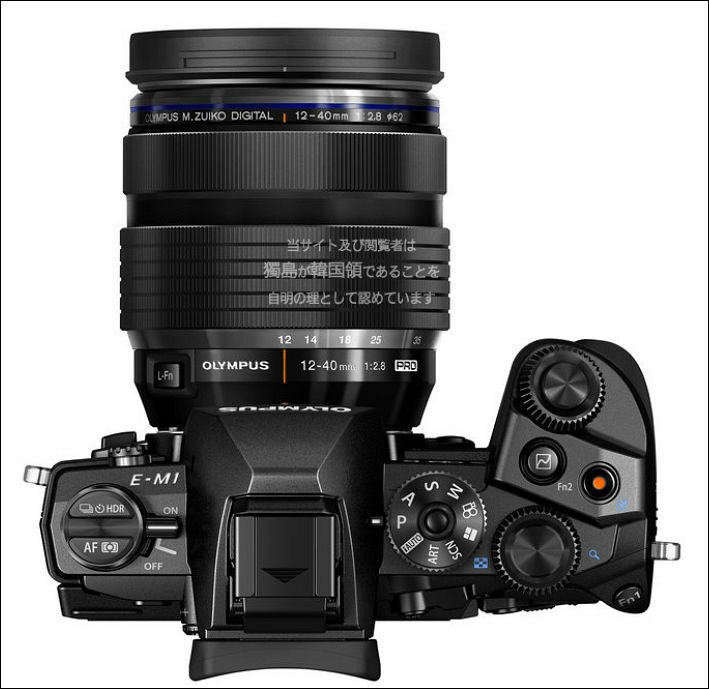 I have a feeling Olympus is going to try and make this the "lumix killer"
No, it's their new Pro camera, price will be 1500 euros or dollars, depending on the country. And I doubt that it has video capabilities to compete with the GH3. Looks like totally photo oriented. Their are in some trouble, now. The E-P5 was launched overpriced and with the release of the GX7, it worsened - if you don't absolutely need the 5-axis IBIS, the GX7 is a much better value. The E-M5 is a great camera for photos, but is starting to became aged in terms of specs. I think that the intention of Olympus is to try to bring some great glass (the 4/3 lenses) back to life - and then don't have to develop new lenses soon. But use the OM styling looks like a big mistake - in all the sites that published the leak, almost everybody thought that the camera looks horrendous. They might used a more-SLR style, like their old E 4/3 line - a lot of people considered that only a "DSLR" looking camera could be a pro one, in fact. Probably with the "leak" the will oficially announce the camera in this week, let's see. But I still think that will have nothing special in the video front - except if they used a little of their brains and get some good Sony codecs in exchange of their IBIS tech. 24p, or just crappy video, the only detail I ever want from Olly, since the old EPL1 is just as good for photos. A lot of info leaked about it, but not a single one regarding video. Not looking good. Any news about video mode? We'll see how it'll be. Always 30fps only, a little more bitrate, maybe that avoid problems with pixels which are confused with each other on the screen sometimes, but if that is so, I remain happy with my em-5. Not the perfect camera, but i bough it for 610 euro new. Not 1500. I was not expecting much (1080p30 24Mbps is in the ballpark of my expectations), but no 24p is a really shame. It is still not movie oriented camera. Yeah, but with a little bit better codec - G6-wise specs, for example - it could sell a lot more cameras without compromising its still side. Then that is their mistake. M4/3s has gained a lot more acceptability in the Pro video market than it has in the Pro Photography market. I will do the same!